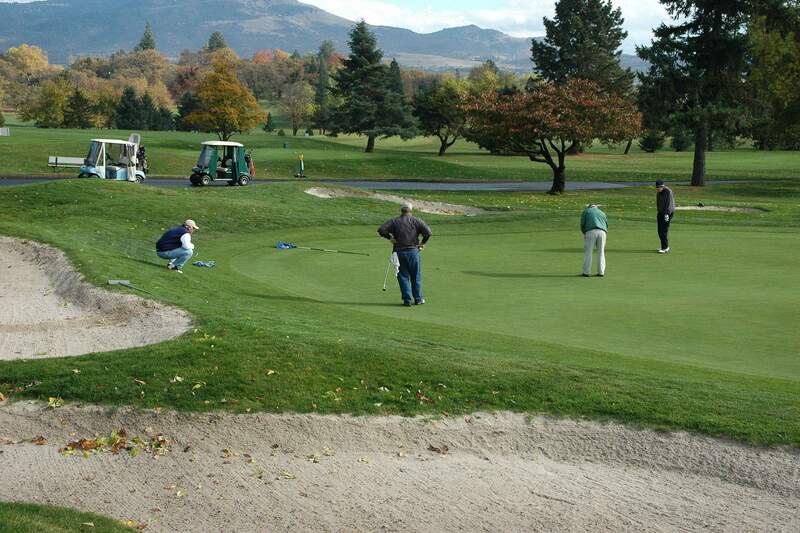 San George Estates is a “gimmie putt” from many of Oregon’s outstanding golf courses. Residents can select from 10 premier courses within 25 miles of San George Estates. The City of Medford offers classes for tennis, golf, swimming, senior activities and more. Oregon is known for its river, lake and ocean fishing including salmon and stealhead, with Emigrant Lake 23 miles away for fishing and boating activities. Winter skiing, snowboarding and snowmobiling within 40 miles of your home. For your day-to-day convenience shopping, Fred Meyers, Winco Foods, Ray’s Food Place, Safeway, Albertson’s and Wal-Mart are among the convenience stores within 5 miles of your home. The beautiful downtown Medford is a mix of small shops, antique stores, city offices and is the Seat of Jackson County. Additionally, Rogue Valley Mall (4.2 miles) features nationally recognized retailers from Macy’s, Kohl’s, Bed Bath & Beyond, JC Penney, Sports Authority, Christopher & Banks, Chico’s and Coldwater Creek. Medford Center (3.5 miles) Sears, Ashley Furniture, Cinemark Tinseltown Theatres and Cold Stone Creamery. Rogue Valley Medical Center (3.4 miles) and Providence Medford Medical Center (4.2 miles) are among the more modern hospitals in the US. Oncology, Orthopedics and Cardiology are among the finest in the nation and are within 4.5 miles from your home. Medford Medical Clinic offers a large number of primary care physicians (3.1 miles). Veterans Administration Domiciliary at White City, OR (6.4 miles) offers a variety of inpatient and outpatient services for our Veterans. The Rogue Valley is becoming known for its nationally and internationally awarded wines. The Rogue Creamery, maker of a variety of cheeses is also known for its award winning products. At San George Estates you can find a relaxed lifestyle for those seeking the best in value, leisure and convenience. The Britt Festival offers outdoor entertainment by some of the finest entertainers in the industry. The Shakespeare Theater offers many of the author’s more famous plays and is located in Ashland, OR (23 miles). The Rogue Valley offers numerous charming and quaint live performance theaters. Baseball fans will enjoy a walk down the street (600 feet) to Harry & David Field, home of the semi-pro Medford Rogues.